Bitcoin’s path to the grave has always been fairly clear to me. First, the third-party infrastructure surrounding the virtual currency would become shaky, eroding confidence in Bitcoin as a safe and legitimate alternative to government-issued currency. That happened. Next, authorities would crack down on the black-market uses of alternative payment networks and punish third-party companies who failed to stop their users from participating in illicit activity. That happened. And finally, the parts of the Bitcoin ecosystem that come into contact with the normal currency exchange system — the processors where dollars are converted into Bitcoins, the bank accounts where those processors hold their cash reserves — would be cut off. Now that, too, has happened. Mt. 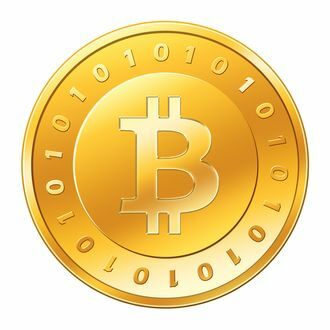 Gox, the largest Bitcoin exchange, announced today that it is suspending U.S. dollar withdrawals from its accounts because of what it euphemistically calls “rising volumes of deposits and withdrawals from established and upcoming markets interested in Bitcoin.” Add that to the shutdown of Bitspend, a Bitcoin e-commerce site, by its bank, and you have a disastrous week for the much-hailed virtual currency. Bitcoin isn’t quite like a traditional currency. Even if the pieces of the Bitcoin infrastructure that intersect with the traditional banking system disappear, Bitcoins themselves don’t go anywhere. You can’t seize a Bitcoin like you can seize a dollar, since it’s simply an alphanumeric string. But people need to be able to get their money in and out of the Bitcoin economy in order for it to be a useful alternative. With Mt. Gox and other Bitcoin go-betweens having such a hard time staying afloat, it probably won’t be long before even some Bitcoin diehards consider packing it in.